Trying to find suppliers who you can trust to provide quality goods and service can be very time consuming and confusing. We work with lots of wedding professionals and we see what they can (and sometimes) can't do. Below we have listed some of the suppliers who we trust to provide a consistantly excellent service. None has paid to be on this list , they are there on merit. Hope it helps our clients to make good choices. Niall has the same approach to us in her videography. She allows you to be yourselves and enjoy your day in a relaxed way. If you want a video of your day she is a perfect match to jane harrison photography. Andrew is a Savile Row trained tailor who has dressed famous entertainers and TV personalities. He and his expert team provide a fantastic service to their clients and will ensure that your men will look fantastic on your wedding day. Maggie & Simone are both expert seamstresses and hold a fantastic collection of bridal gowns in their bridal suite. They are very experienced and will advise you on all aspects of choosing a gown that is perfect for you. 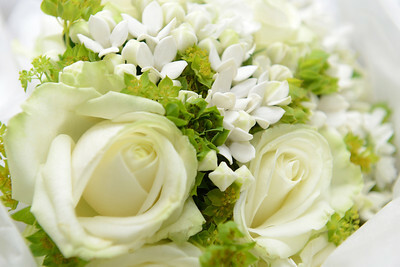 The team at Chambers florist are knowledgeable and friendly. We at jane harrison photography know that any bouquet from here will be not only beautiful but it wont start falling to pieces half way through the day. As it will be professionally wired and constructed by expert florists. There are lots of beautiful venues around the area, each offering different things. Depending on what you want the choice will be a very individual one. The venues we like are here for their service and how their venue works for a wedding. Branston Hall is a beautiful old manor house set in lovely gardens and rolling parkland which leads to the lake. We love working here because the service and staff are second to none, and the food is fantastic The hotel only allows one wedding per day and the function suite is self contained allowing for a very private party. The Doubletree by Hilton Lincoln is a stunningly modern hotel set at the side of the Brayford right in the middle of Lincoln. If you are looking for a sleek modern feel to your wedding this is a great hotel. The Ballroom is fantastic and more than capable of hosting big weddings with lots of guests. The staff are excellant and the food is great. Washingborough Hall is a beautiful former rectory nestling beside St Johns Church in Washingborough. It has undergone a fantastic new refurbishment and sympathetic extension in the last couple of years and is an ideal venue for a wedding. The staff are experienced and very helpful.